(141) Bhraajishnuh - Self-Effulgent Consciousness illumines everything; and it is not borrowing Its Light from any other source. “It is the Light of lights that illumines even darkness”-(Geeta Ch. 13, St.18). And the Upanishad is equally vehement and declares: “There the sun has no light nor the stars nor these lightnings; how little then can this fire! By its Light alone all these are illumined. (142) Bhojanam - The immediate meaning of the term is food, viz. eatables. In philosophy it has a wider implication and the term “food” cannotes the entire field-of-objects experienced or enjoyed by the sense-organs. The world-of-objects projected by the sense-organs, the inner psychological play and this world-of-matter constituting the field-of-plurality, all together is comprehended by the term Maayaa. Thus cathodox commentators reduce this term ‘Bhojanam’ to the contents and functions of Maayaa. Taittireeya Upanishad (2-7) says: “He is indeed the Essence (Rasa)”. (143) Bhoktaa - The “Experiencer” Not only the world-of-objects is essentially nothing but the Spirit, Lord Vishnu, but even the very instruments-of -experiences and their ultimate joys and sorrows, are all illumined for us by the Lord- of-Lakshmi. The Pure Self, expressing through the gross, the subtle and the causal bodies, becomes the waker, dreamer and deep-sleeper, experiencing all happenings, good and bad, as the individuality in that living person. Consciousness, Purusha, identifying with and functioning through matter (Prakriti), comes to experience the endless modifications that are born out of Prakriti. The Self in Its Infinite nature is actionless and yet in Maayaa seems to function and becomes the Enjoyer or Sufferer of the actions of matter. (144) Sahishnuh - One who is capable of patiently suffering, in his perfect detachment, all that is happening around, is a sahishnuh. Whatever happens to the reflections of the Sun, the Sun in the cosmos is unaffected by them, and with reference to his reflections we can call him a Sahishnuh, the Sun is a mere “witness” of his own endless reflections. The term has also got two more meanings in Sanskrit as ‘Forgiver’ or ‘Conqueror’. Vishnu is one who forgives us readily all our trespasses, and conquers for us all the inimical forces in our inner personality. (145) Jagadaadijah - One who had born (Jah) in the very beginning (aadi) of the world (jagat) is called Jagadaadijah. At the time of dissolution (Pralaya) when the entire gross and subtle bodies go to lie absorbed in the Total Causal-body, the world, in Pralaya, lies merged in Eesvara. Before the gross world-of-plurality emerges out there should be a condition of subtle manifestation of it in the form of thoughts. Thoughts constitute the mind-intellect; when the Infinite functions through this Total Mind-intellect, It is called as Hiranyagarba the womb of all objects, it is from the Hiranya garba-state, the manifestation of the gross world emerges out, when the lord comes to play as a Virat Aatmaa. Maha Vishnu is the one who was born before the world of gross bodies, therefore it is indicated here that he is the “Womb-of all- objects” in the world, the Hiranyagarba-the very creator. (146) Anaghah -Agham means sin (Paapa), impurities (mala); and therefore, Anaghah means One who has no imperfections and who is not affected by the good and bad Vaasanaas left over in the personality as a result of the wilful actions. He is the Uncontaminated (Aliptah) .The Light of Consciousness is the Illuminator of the mind, and so the peace of virtue or the agitations of the sin cannot affect the Illuminator -the Illuminator being always different from the illuminated. Chandogya Upanishad (8-1-5) says: “He is free from Sin”. (147) Vijayah –“The Victorious”. One who realizes the Self can thereafter stand apart from the thraldom of matter, Victorious over the tyrannies of the flesh, feelings or facts. Thus, the Seat of Self is the Seat of Victory over matter. The Peace and harmony of the Self can never be assailed by the noisy hordes of the world of plurality. Vijaya is the name also of Arjuna and the Lord Himself says, “Among the Pandavas, I am Arjuna” - Geeta Ch. 10, St. 37. (148) Jetaa –“Ever Successful”. In all undertakings He alone wins; One who never knows any defeat or failure. Upanishad says: “Truth alone wins, never falsehood”. (149) Visvayonih -It can be interpreted in two ways as (a) He who is the Cause of the universe or (b) He who has the world as His Cause. The former is clear to those who have so far followed the commentary, and to them the latter may be a very confusing statement. From the standpoint of the Puranas, it is logical. The Self has manifested as the various Incarnations from time to time because of the condition of the world, and therefore, Visvam is the cause for His manifestations. (151) Upendrah - The younger brother of Indra. In His Incarnation as Vaamana, He was born to Aditi, who was the mother of Indra, and hence, the Lord is known as the “Younger brother of Indra”. In Sanskrit the prefix upa denotes ‘Above’ in the sense of ‘superior to’; therefore, Upendra may also mean “One who is superior to Indra”, the king of gods. Such an explanation we find in the Harivamsa (76-47). Indra, the king of the sense-organs, is the mind and the Consciousness, which is the Self, is the One factor that dynamises the mind. Since life is that which controls even the mind, certainly It is superior to the mind and this Self is the Maha Vishnu. (152) Vaamanah - Of the ten great incarnations, the fifth one is Vaamana; and the very name indicates ‘One who has a small body’. It was in the form of a child (vatuh =A child student in a gurukula) that Vaamana approached the divinely righteous Emperor Mahaabali to beg of him a little land, of the length of his tiny three steps-and the Lord measured in His three steps all the three worlds and thus conquered Mahaabali. He checked (Vamayati) the rising pride of possession in Bali, hence He, in that incarnation as a Vatu, is called Vaamana. The term Vaamana also means ‘worshipful’: “Him, the Dwarf, sitting in the middle of the heart, all gods adore”, so we read in the Kathopanishad (5-3). However, here the emphasis should be upon the meaning “short statured” because of the contrast it makes with the following name. (153) Praamsuh - One whose body is vast is called Praamsuh. Vaamana, when He got the promise from the righteous King, and when He started measuring, the Lord took His Cosmic Form, and with each step measured the earth, the interspace, and the heaven. In Harivamsa (262-263) there is a beautiful description of the little Vaamana growing into His Total Form. The rate of His expansion is described with reference to two fixed factors the Sun and the Moon. When He took the form, the Sun and the Moon were His eyes; as He measured the earth, they came to His bosom; as He was measuring the space, the Sun was at His navel and as He lifted His feet to measure the Heaven, the Sun and the Moon were just below His knees. (154) Amoghah - One whose activities are ever a fulfilment of some great purpose. Even insignificant actions, which, ordinarily, people would think are empty and purposeless, are never really so, when they spring from Him. Even when He punishes, it is only for inaugurating a greater evolutionary blessing. (155) Suchih - One who is spotlessly ‘clean’, and therefore, Ever-Pure. Impurities in a substance are things other than itself; when dust is on the cloth, the cloth is impure, unclean. Since the Self, the Aatman, is the Non- Dual Reality, having nothing other than Itself in It, Ever-pure alone must It always be. And Suchih is One who gives this purity to those who contemplate upon Him constantly. (156) Oorjitah -One who has infinite strength and vitality. Wherever, in the organism, we meet with any strength and vitality they are all the strength and vitality of the Self. The Infinite Vishnu is the One All-Pervading Self, and therefore, He is the very springhead for all strength. (157) Ateendrah -One who is beyond Indra in knowledge, glory and strength. Since Indra represents the ‘mind-intellect’ equipment, Aatman, the Self is denoted here as that which transcends the mind. (158) Samgrahah -One who holds the entire world of beings-and-things together in an indissoluble embrace unto Himself. Just as the hub of a wheel holds the rim unto itself by its endless spokes, so too the Aatman, the Self within, lends Its vitality to every cell in the body and to every thought in the inner-equipments. In none can anything happen which is not a glory borrowed from Him. And, the Self, being the same everywhere, in all existence, in both the movables and immovables, gross and subtle -in the manifest as well as in the unmanifest - He certainly is the One who holds the world of phenomena unto Himself in a vast embrace of Love and Oneness. (159) Sargah -One who has created out of Him- self the whole world. It therefore must also connote One, who has the whole created world as His own form, since the creation is His own manifestation as the Subtle and the Gross. (160) Dhritaatmaa -One who supports Himself by Himself. In the previous epithet Samgrahah, He was shown as the Cohesion of Love in the world of matter and energy, and in Sargah, He, as the One material and efficient cause of creation, was shown as also the very supporter of the manifested world. But who supports Him? He is Dhritaatmaa - He is established in Himself. 161) Niyamah - The Appointing Authority: It is He, who orders all the mighty forces of nature and prescribes for each the Laws of their conduct, the ways of their behaviour and the methods of their functions. The Sun, Moon, Air, Waters, Dik-Paalakas, Death etc. are all appointed and ordered by the Lord. (162) Yamah - One who is the mighty Power that administers all the forces of Nature under His Law. Everything in nature strictly obeys ever all His Laws. (163) Vedyah - That which is to be known; in the language of the Geeta, it is Jneyam. That final knowledge, knowing which every-thing becomes known. “Kasmin nu bhagavo vijnaate sarvamidam vijnaatam bhavati iti”-(Mundaka. 1-3). All sciences are investigations into Truth After observing the nature and behaviour of things and beings when the investigator moves ahead seeking the ONE Harmonious Chord of Reality that holds all phenomena in its inescapable love-web, the scientist of Truth-comes to reject first the gross, and soon thereafter the subtle realms, and ultimately even the causal factors, and thus-comes to apprehend this harmony, which he is seeking as the very subjective core of his own Self. This final Goal to be realized, “having known which everything else becomes known,” the One Consummate Knowledge to be gained (Vedyah), is the Self, the Great Vishnu. (165) Sadaa Yogee - To the confused and the deluded to detach themselves from the false vestures-of-matter and to seek their identity with the ETERNAL Self is called Yoga. All attempts in attaining an at-one-ment with the Self is called Yoga. The Goal, the Self, therefore, in the language of the seeker must be Sadaayoga-ever-in yoga. (166) Veerahaa –“He who destroys the mighty heroes”. The powerful men of strength and valour when they grow in their audacity to become tyrants, the Lord manifests to destroy such Raakshasas and thus protects the Dharma and the Good. (167) Maadhavah -Earlier this term was used (72) where we interpreted the term as the “Lord of Lakshmi.” Maa means not only “Lakshmi,” but she is also “Vidyaa” (Knowledge). The Lord (Dhava) of all Knowledge (Maa) is Maadhava. (168) Madhuh -The term Madhuh familiarly stands for “honey”. It is also a term to indicate “nectar.” One who generates Nectarine Bliss in the hearts of His devotees is called Madhuh. The springtime in India is called as Madhumaasa since spring is the season of flowers; full of honey for the bees, and joy for man. The month called Madhu (March- April) is the Chaitra month which is considered specially auspicious for prayers, and meditation. One who is of the nature of the Maadhava-maasa, the month of Maadhava (April-May) can also be the suggestion in this term. Vaisaakha (April-May) is considered as the most auspicious time of the year for the worship of Vishnu by all Vaishnavites. (169) Ateendriyah -One who is beyond the sense-organs not only in the sense, that the sense-organs cannot perceive Him as their ‘object’ but also in the sense that He is other than the sense-organs and their functions. Lending to them, all their very vitality, is His mere presence! He is the very ‘subject’ in the perceiver, and, therefore, the instruments of perceptions, emotions, and thoughts cannot experience Him: this Source of All-life is Maha Vishnu. Kathopanishad (3-15) says: “He is soundless, untouched, formless, immutable, so without taste, eternal, smell-less. (170) Mahaamaayah -One who is the Supreme Master of all Maayaa. He is the very Substratum upon which all the plurality spring up and play their infinite enchantments, constantly basking in the Light of the Supreme Consciousness. Aatman, the Self, is untouched by the play of Maayaa, and yet the Maayaa-play is sustained only by the exuberant warmth of His Divine presence. The Sun is the Master of all clouds, inasmuch as, in its presence, borrowing its heat, water by its own nature gets evaporated, and the water, vapour again, because of its own nature of a lesser density than the atmospheric air, rises to the higher altitudes and gathers there as clouds. It is, again, the nature of the atmosphere that at higher altitudes it is cooler and the water-vapour so cooled becomes water again, and due to the higher density of water it descends as rain. In this example the Sun can be called as the “Creator” of all clouds and the “Cause for the rams,” and consequently the sun is also the “ Master of the Seasons.” And yet, the Sun is uncontaminated by all these phenomena that are happening in its presence. In the same fashion the Infinite Reality, Vishnu, is indicated here as the Great Magician, who has the magic of Maayaa at His command. Krishna Himself confesses in the Geeta: “Very difficult indeed it is to cross over My Maayaa” -(Geeta Ch. 7 St. 14). (171) Mahotsaahah - The Great Enthusiast; the Ever-Dynamic Accomplisher. The Powers of creation, of sustenance and of annihilation-in their totality is the world of birth and death that we live in. This wonderful world cannot be sustained without the endless enthusiasm of this Mighty Power. Looking at the ocean, through the waves, we come to recognise the ocean as the “Sleepless Agitator”; similarly, looking at Vishnu, “through the ephimeral kaleidoscopic changes in the patterns of life available to us in our experience today, we call Him as the “Dynamic accomplisher” (Mahotsaahah). The term employed here, the Enthusiastic Accomplisher, is indeed one of the most appropriate names for Maha Vishnu. (172) Mahaabalah - One who has Supreme Strength. He, being Omnipotent, is the Source of all Strength that we see in each individual organism in life. His Vitality reflected in each of us, is our individual strength; naturally He is the Infinitely Strong, Mahaabalah. 173) Mahaabuddhih- In the previous term, we were told He is Omnipotent. Here He is indicated as Omniscient. The Supreme, functioning through the intellect, is the intelligence. The quality and quantity of the intelligence will depend upon the condition of the “intellect’ through which the Infinite comes to play. The intelligence in a mathematician, poet or an artist, scientist or politician-all are the different play-patterns of energies invoked from the one Supreme Intelligence, and therefore, Mahavishnu, the Self, is called here as Mahaabuddhih, the Reservoir of all Intelligence. (174) Mahaaveeryah - One who is the Supreme Essence. “Veerya” is the Essence behind all the creative urges. Since the Divine is the very source, from which alone the dynamism for creation can manifest, the Supreme Divinity is termed here as the Mahaaveerya. (175) Mahaasaktih - All-Powerful. Power here means efficiency. He-whose manifestations are the power-of-action, the power-of-desire and the power-of-knowledge saktees-must necessarily be the most powerful, in as much as a play of these three powers is the total play of the world. (176) Mahaadyutih -Of Splendorous Light. Dyuti means ‘Glow’, Sobhaa. The Pure Consciousness is the illuminator of all, including all other material sources of light in the world-Sun, Moon, stars, fire etc.-but this is not all; He is also the One, who is Himself Self-Effulgent. This is Mahavishnu-the Supreme Self. In the Mundakopanishad (4-9) Lord is described as the “Light of lights”. Brihadaaranya- kopanishad (6-3-9) declares: “He is Self-effulgent”. (177) Anirdesyavapuh -One whose form is indefinable, indescribable, inexplicable (Anirdesyam). Ordinary things can be defined, described or explained because they come within our experience. Our objective experiences can be satisfactorily expressed in words. Vishnu is that Truth which is the Subjective Essence in all of us; He is that ‘Knowledge’, in the light of which, all other knowledges are rendered possible. As such no “sources of knowledge” (Pramaanas such as Direct perception, Inference etc.) can be employed successfully in exploring the realm of the Self. Subjective experiences of ‘Be’, the Maha Vishnu, is possible; but It can never become an ‘idea’ to express, nor can It become an ‘emotion’ to feel, nor can It ever become an ‘object’ to be described. (178) Sreemaan -Sree means Glory (Aisvarya). Vishnu is permanently wedded to Mother Glory; He, who is constantly courted by all glories, is Sreemaan, Lord Vishnu. 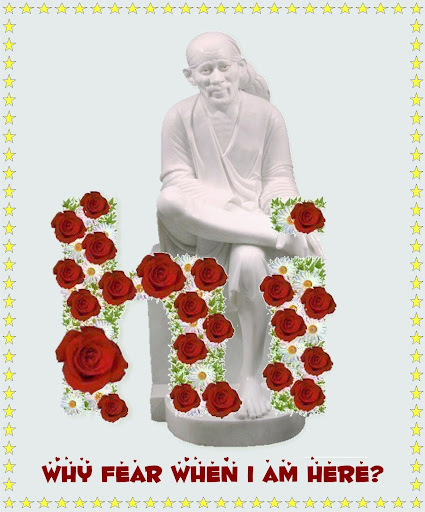 (179) Ameyaatmaa -He whose Essence (Aatmaa) is inestimable and immeasurable (Ameya). As Aatman (Kshetrajna) He, the One, expresses Himself everywhere in every equipment (Kshetra), as the ‘knower’ in each ‘field’. Since these equipments are infinite in number, as the individuality (jeeva) in each one of the created beings, His own Glory expresses in endless manifestations. (180) Mahaadridhrik -One who supports the great Mountain. In the Puranas, we find two instances, wherein the Lord has been described as the uplifter of or as having lifted and supported the mountains. While churning the milky ocean with the Mandara mountain we are told that the “churning-stick” sunk into the bottom and the Lord had to manifest in the form of the Great Tortoise (Koorma) and support it, while the Gods and Demons continued the churning, until they gathered the nectar (Amritam). Again, the Supreme, as Lord Krishna, in order to protect the cows had to lift the Govardhana Mountain. Because of these two stories in the Puranas, Lord, the Protector of the mind in Saadhanaa, is called as Mahaadridhrik. Vishnu is the Divine, that supports the mind-intellect of the Saadhaka while he is churning, through study (sravana) and reflection (manana), his own Milk-like pure heart-of devotion in order to gain the experience of Immortality (Amritam). (181) Maheshvaasah - One who wears or wields the Great Bow called Saarnga. (182) Maheebhartaa - The husband of Mother Earth. The Sanskrit term for husband is Bhartaa and the term denotes ‘Supporter’. In the Puranic language we have the description of how the Lord, as the Great Boar uplifted the earth from the “waters of Deluge.” Viewed from the platform of philosophy, just as gold is the supporter of all things made of gold, the Infinite Consciousness is the Essence from which everything has risen. Hence He is the Lord, the Supporter, the Husband (Bhartaa) of Mother Earth and everything that exists in her. (183) Sreenivaasah - The permanent abode of Sree. Mother Sree connotes “all Glory and power, faculties and strength, to be good and to perform creative acts of righteousness”. She is found to remain never permanently in any bosom. Even saints and sages, in recorded history, have come to compromise the perfections in them. The only place, where imperfections never enter to molest the serene essence, is the seat of Eternal Perfection, which is the bosom of Narayana. Hence Maha Vishnu is indicated as Sreenivaasa –“the Permanent Abode of Lakshmi”. (184) Sataam Gatih - For the truly virtuous and for all spiritual seekers (Sat-People) He who is the final Goal. In the language of the Geeta He is the “Paraa gatih”. The term gati is used to denote not only the goal, but the very movement, as well as the direction and the way. Narayana is the very Direction, Path, Progress and the Goal for his devotees. (185) Aniruddhah - One who cannot be obstructed or resisted by anyone. Irresistibly, the will of the Lord functions in the world of created things-and-beings. Just as in the world of matter, the laws of nature are irresistible, the Rhythm and Harmony of Truth ever march in their Eternal Logic of objectless Love and immaculate perfection. Time and tide wait for none. When the sun rises, the living creatures absorb energy and nothing can obstruct this process. In the presence of the Self, the worlds of matter must get thrilled into their own independent activities, and in all these welter of efforts and exertions, achievements and failures, joys and sorrows, the Self is not involved by the Irresistible Enchantment of His presence, the Gopis seek their own fulfilment in their own dances. In the Puranas, we find Bhagavan Vishnu taking up in His various Incarnations different manifested forms and in all of them He was victorious; ever irresistible (Aniruddhah) is His Might. (186) Suraanandah -The One who doles out happiness (Aananda) even for the Denizens-of-the Heavens (Suras). In the Upanishad we have the declaration, that the Infinite Perfection, the Lord is of the very nature of Absolute Bliss. In the Aanandavallee of Taittireeya Upanishad we find the arithmetics of Bliss. The Rishi concludes that all joys of the world and heavens-mental and supramental-are all but flickerings of the Infinite Bliss, which is the Lord Mahavishnu. (187) Govindah -The word Go in Sanskrit has four meanings: ‘Earth’, ‘Cows’, ‘Speech’ and ‘Vedas’. As the earth is the supporter of everything that is existing, He, who is the supporter of everything within the individual, is called Govinda; He, who is the Protector of the Cow’s and played the part of Gopaala in Gokula, is the very controller of the animal instincts and passions in the bosom of man; “One, without whom, no speech can ever emerge out of any throat-He being the very Life in all Creatures” says Kenopanishad; and the Highest Speech is the declaration of Truth in the Vedas. The Lord Himself is the very Theme and the Author of the Vedas. This great Self is Mahavishnu. (188) Govidaam Patih -One, who is the Lord of all ‘seers’ and “Men of Wisdom”. We have already indicated that Go means Vedas. Govit- Vedavit-those, who have realized the Theme indicated in the Vedic declaration as the Essential Reality in their Own subjective bosom. They are called the Seers or Sages. To such Men-of-Wisdom the Self-alone is the Lord and the Master. (189) Mareechih -The term Mareechih means ‘Effulgence’. Consciousness illumines objects and therefore in terms of worldly knowledge the Upanishads declare that the Supreme is the Light-Infinite. In the Geeta we read Bhagavan, Vaasudeva declaring: “I am the Light in all effulgents” -(Geeta Ch. 10, St. 36). (190) Damanah -One who restrains and controls every Raakshasic impulse within the bosom. In the forms of the ten incarnations, He had controlled the irresistible tyrannies of the vicious against the good. In the form of pain and agitation, sorrow and death, it is He, who is the Controller, Damanah, of all negative tendencies in everyone’s Heart. (191) Hamsah - One of the great declarations of the Vedas is: “I am Brahman” (Aham Brahmaasmi). Here the term I, the first person singular used, denotes the supreme. Self functioning through the conditionings.” This individual concept is called jeeva. Thus I, the Jeeva (Aham), once detached from the conditionings, IS essentially nothing other than He, the Lord (Sah). This experience that Aham is Sah is the very God-consciousness and therefore, Vishnu, the Supreme State of Realization is declared as Hamsah. (192) Suparnah - Parna means wings; Suparna means that which has beautiful wings-bird. “A pair of white- winged birds extremely friendly sit on one and the same tree; one cats the fruits, the other eats not and gazes on”. Thus traditionally in the Upanishads, the Suparnas suggest the Jeevaatmaa and the Paramaatmaa sitting on the same tree (body): one (Jeeva) eats the fruits (of actions) and the other (the Self) merely gazes on (Saakshee). Vishnu is this All-experiencing Principle of consciousness. (193) Bhujagottamah - The sacred serpent named in the puranas as Ananta. “ Among the serpents I am Ananta,” says Krishna: -(Geeta Ch. 10, St. 29). (194) Hiranyanaabhah - He, who supports at His navel, the creator, Hiranyagarba. The meaning for this term as given by some is “the One who has the navel region beautiful in its golden hue” must fail, in the context of the thoughts in the stanza, to appeal to all seekers. (195) Sutapaah - One who has glorious Tapas. Consistent creative thinking is called tapas. For this, mental concentration is unavoidable. Mind cannot have consistent concentration unless it can have a perfect control over the sense-organs. Even when the mind is withdrawn from the sense-organs, it must have a consistent intellectual ideal to concentrate upon. In the Upanishad, we read: “He thought and through thought, He created all this”. (196) Padmanaabhah -One who supports at His navel the very seat of all creative-power. We have described this term earlier (48). According to Sankara, here the term may mean one who has a navel region which in its rounded beauty, is as charming as the lotus flower . (197) Prajaapatih -The Lord of the creatures. Since all creatures have emerged from Him, the living creatures are His children (Prajaa) and He is their Pati. The term Pati has a direct meaning: ‘father’. Thus Vishnu, as the only source from which all creatures have emerged out, is called as Prajaapatih. (199) Sarvadrik -The seer and knower of everything. The Consciousness that illumines all motives and intentions -and the manifested activities that spring from them -in each individual, at all times, is necessarily the Witness of all, the Seer of everything, Maha Vishnu. (200) Simhah -One who destroys. The Law be- hind all destruction and change in the Maayaa is the Mighty Lord. On transcending the Vehicles of the body, mind and intellect, at a time when all experiences of perceptions, emotions and thoughts are annihilated from us, the Experience left over is the Supreme. And in the Non-dual Supreme, there cannot be any object other than itself. Therefore, that “State” is called as the Total Destroyer. The State of Waking is the “destroyer” of the dream-world; the State of Sleep is the “destroyer” of the waking and the dream; the State of God Consciousness is the total “ Annihilator” of all the known three planes of Consciousness. He is Simhah -a word that has been formed by the mutual transposition of the letters in Himsaa. 201) Sandhaataa - The Co-relator, the Regulator, the One who co-relates the actions and their fruits. In fact, the fruit of an action is nothing other than the action itself; the action itself presents as its fruit in a different period of time, maturing under its own Law. This Great Law is the Lord, whom the devotee accepts as “The Giver of all fruits of action”. 202) Sandhimaan - The structural engineering of individuality is the mightiest of phenomenon available in nature. The Supreme is the Law and the Law-giver; and the Light of Consciousness functioning in the mind and intellect Itself is the individuality (Jeeva), that comes to suffer the good and bad results of the actions. Thus not only that it is He, who is the Giver of the results but It is He, again, Who is the enjoyer or the sufferer of the results. Hence He is called as the One who is apparently conditioned by the actions that emanate from Him, Sandhimaan, enjoyer (conditioned). In fact, He is the One presiding over and illumining all actions; the very Law of reaction Itself; the ensuing experience in all actions of all people, at all times. From the standpoint of our existence, with reference to our individual existence, the Divinity in us, for all appearances, seems to be conditioned; this Sandhimaan, the Jeeva in His own Pristine Purity is Maha Vishnu. (203) Sthirah - Firm, consistent. One who is ever consistent in His nature and One who remains changeless, at all times. (204) Ajah - Unborn. Ajah is also a term denoting the Creator, Brahmaaji; He who, in the form of Hiranyagarbha, apparently creates the delusory world of plurality is Vishnu. (205) Durmarshanah - One who cannot be attacked and vanquished. In the long run, everyone in his own maturity will have to come and accept and walk the path of Vishnu -He is the final Goal. In the lesser levels of evolution, the animal-man may deny himself the peace and joy of living the spiritual values, and deluded by the senses and enchanted by the flesh, he may live a life of sense-joys and temporary fulfilments. But soon enough irresistibly he will be seeking the “feet” of Vishnu for real happiness and true achievement. His also is the final victory and one can stand apart from Him in a victory over him. (205) Durmarshanah -One who cannot be attacked and vanquished. In the long run, everyone in his own maturity will have to come and accept and walk the path of Vishnu -He is the final Goal. In the lesser levels of evolution, the animal-man may deny himself the peace and joy of living the spiritual values, and deluded by the senses and enchanted by the flesh, he may live a life of sense-joys and temporary fulfilments. But soon enough irresistibly he will be seeking the “feet” of Vishnu for real happiness and true achievement. His also is the final victory and one can stand apart from Him in a victory over him. (207) Visrutaatmaa -The famous term Aatmaa, famous in all the Vedas, is Vishnu. This term clearly shows that all the thousand terms, used herein, though can be considered for the Saguna worship of Vishnu, represent nothing other than the Pure Self, which is the famous theme of the Hindu Scriptures. Through hundreds of suggestive definitions, this Great Self has been successfully pointed out through declarations of Its Transcendental Nature and through statements of negation indicating what He is not. (208) Suraarihaa -Sura=“God of the Heaven”, Ari=“enemies”, Ha=“destroyer”. The Supreme is the Destroyer of the enemies of the gods. The sensuous claims of the flesh, the mild assertions of the ego, the nocturnal devils of i desires and passions, are the common enemies of the higher mind aspiring to evolve. When invoked with true devotion, He who drives away and destroys the inimical negative tendencies, and helps the devotee to master himself, is Suraarihaa, Sri Narayana. (209) Guruh -The teacher, who initiates seekers into the secrets of the sacred scriptures is called the Guru. Since the Lord, the infinite alone, is the very author and knower of the Vedas, He is the Teacher in all spiritual study. Aatman being the Light, that illumines the knowledge in the teacher, his very capacity to speak and the very ability in the student to hear, understand and apprehend this great Truth, He alone is the Teacher wherever there is any transference of knowledge. The Guru and the scripture, devotion to God, meditation, moral conduct and the religious discipline are all necessary, in as much as, they prepare the bosom of the seeker for the dawn of realization. But the final unveiling is done by the Infinite alone, and hence, Vishnu, the Self, is the best among the Gurus. Heaviness is called by the same term (Gurutvam), and in this sense the Lord is Indicated here as “that which is heavier than the heaviest. 211) Dhaama - The Goal; the Sacred destination of a pilgrimage. The Supreme is the Param-dhaama, the ‘Supreme Destination’, having reached which, there is nothing more to reach beyond. This Absolute State of Perfection is called the “Peak” (Dhaama). The Sanskrit term Dhaama also means “Effulgence” (Tejas); the Pure Consciousness as the illuminator of all experiences is considered and glorified as the Light of all Lights etc. (213) Satyaparaakramah - Dynamic Truth. Passive truthfulness is the harbour of the fools, the dark den of the cowards; although it is any day better than suicidal un- truth and criminal dishonesty. The Lord, the Infinite is not only Himself the Truth but He is Dynamic in insisting that “Truth shall prevail, not untruth”. Not only gravity is a law of nature, itself ever truthful, but it insists that none shall escape its influence or disobey sway. So too, the Infinite Law of Harmony and Love is an Inevitable Truth persisting with insistence in life. The Lord is therefore indicated by the term “ Satyaparaakramah”. (214) Nimishah - The condition of “the eyelids closed” is called Nimishah; the unwinking is called Animishah. When the eyes are open, the mind is extrovert; the condition of mental introvertedness is expressed in an unconscious closing of the eyes. When a man is deeply thinking, remembering, contemplating, we find him naturally closing his eyes. In a state of intense contemplation, when the intellect is turned away from the objects-of-experiences, the bosom experiences the One Divine “Subject” both within and without. The Lord is described here as “with eyes closed”, only to indicate that He is ever rooted in Himself; from Him viewed, there exists nothing other than Himself to constitute the world- of-objects. (215) Animishah - One who remains unwinking. Whenever we wink both the eyelids close together and what we are seeing is at least technically veiled from the seer in the eye. The Supreme is indicated here by the term “unwinking”, in the sense that, the consciousness is Ever-Knowing. In Sankara’s words, in Chandogya Bhaashya, “there is no cession of knowing in the knower”. Page created in 0.378 seconds with 69 queries.